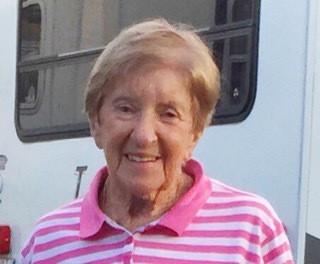 Mrs. Ann Bullington Williams, age 85, of Winston Salem, NC, passed away peacefully on Friday March 29, 2019 at her residence. She was born on May 6, 1933 to John Roy Bullington I and Nonnie Fulk Bullington. She was a member of the Nascarts Ladies Auxiliary of the Greensboro Shrine Club and retired from the Winston Salem Forsyth County Schools. She was loved by many friends and family. She leaves cherished memories with her husband Roy Williams, her fur baby Shag, one brother John Bullington II and special friends Mike and Debra Adams. A celebration of life will be conducted on Monday, April 8, 2019 at11:00 A.M. at Saint Andrews Presbyterian Church 357 Old Hollow Rd, Winston Salem, NC 27105, with Rev. Emily Larsen officiating. The family will receive friends immediately after service. In lieu of flowers, memorials can be made to the Shriners Hospital or Trellis Supportive Care Winston Salem.
. Cox-Needham Funeral Home of Pilot Mountain (http://www.coxneedham.com, www.facebook.com/coxneedham) is respectfully serving the Williams family.